When I found my invitation to SimsCamp in Cologne in my in-box in june, I could hardly believe it. The anticipation was big and the expectations even higher and the event that took place from August 20th to August 22nd 2013 at the German computer game show did exceed those. The whole event was very well organized and despite a little issue here and there, everything went like clockwork. The time table was pretty full and I don’t think anyone got much sleep that week but it was so worth it. After SimsCamp I also had the opportunity to attend the German Community event, which is held each year at Gamescom. That ended in the Community party Saturday evening which was a bit wet this year, but fun nonetheless. The exchange with other fans was – next to the preview of Sims 4 – the highlight of both events. I’ll be uploading some more pictures when I’ve done all the reports but I need to check what I will be using where. At SimsCamp the main topic was of course the Sims 4 which will be release sometime in 2014 but we got to look at Into the Future and the Movie Stuff Pack. We were able to play both upcoming titles of Sims 3 in the spare time we had at SimsCamp and were able to get a first impression what they will bring. I only looked at the stuff pack briefly since it’s only a stuff pack and I figured that enough pages will post pictures of the new clothing items and objects we’re getting. Links see below. We had a presentations (which they called Masterclass) about each part and we got to try out CAS on the Computer. I know there’s a lot of questions out there but we know as much about the age groups, the neighborhood or the technical details as the resst of the Sims community. In contrast to SimsCamp, the German community event had less organized parts. There were presentations about Sims 4 by Ryan Vaughan and Aaron Houts and about Into the Future by King Choi on Friday. Besides that we had plenty of time to play test Into the Future and the Movie-stuff pack some more and talk to other fan site owners. Of course there was also time to romp around on the show floor with 100’000 other people. To meet with the moderators of the German forum was once again another highlight for me. Saturday I met with two of community managers from AnswerHQ. AnswerHQ is EA’s help place for all their games and it’s where I’ve been hiding the past year. I got my invitation through AnswerHQ so it was really fun meeting those people as well. 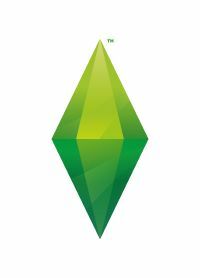 Links to reports from SimsCamp can be found on SimsVIP. I’m not going to repreat what’s already there. If you also made a report and aren’t on the list yet, make sure to add a comment to the post: The Sims @ Gamescom: Attendee Preview List. An important part of SimsCamp was of course taking pictures with as many Gurus as possible. Going to my pictures I realized that I missed a few but I gladly share the ones I have. I would like to say thank you to the team of AnswerHQ and EA for the opportunity to be part of this special event in Cologne. An extra thank you goes to Torsten who always made sure that us German speaking participants was taken care of. I also want to thank Savannah and Blacky from Blacky’s Sims Zoo and the Moderators Gagea and Nemo for swapping pictures. It’s likely that you will find the pictures posted here on other sites. That’s the reason. It was not always easy to find out who took which picture. Please be aware that all reports on Sims 4 are based on a unfinished pre-alpha (CAS) Version and on prepared presentations on the other subjects. Many things will change until the final game comes out. The reports reflect my personal opinion and what I heard and understood in the presentations and from my questioning of the Gurus (I didn’t do an Interview or anything in that direction) but I did try to get some answers from them directly. The statements I heard did not always match and there could be differences to what you read on other pages. There is also the language issue that affects many so don’t believe everything you read on the net. As long as there’s no official statement from EA’s site, it’s just a rumor. Even magazine interviews contain passages that have been misinterpreted. The ITF version we played was a Debug Version that wasn’t complete (the ghosts were missing for example) and there were a lot of text-placeholders. King Choi did confirmed that they are still polishing ITF. The functionality is all there and I don’t think much will change but there are a few things that I hope get fixed until the game comes out.